Dr. Daniel Amen:	Welcome. I have a guest host this week, Chase Mattioli, I'll introduce Chase in just a minute. I'm bummed not to have Tana, but so excited to have you. Just read a couple of reviews from Plata Poem, that's an interesting name. "These two people are the most dynamic duo that I've ever listened to." I love that. "So inspiring and everything they say resonates and makes so much sense. It is just straight facts backed by science. It is just so unbelievably soothing and comforting to listen to when you're hurting. I'm so inspired and it's changed my life. My husband and my two daughters are noticing and wanting to learn from me now how to have brain envy. So cool." Then one more from Lotus London from the United Kingdom, which I'm off to tomorrow. "I love the clarity of the podcast highlighting concordance/association between sleep disorders such as sleep apnea and psychiatric disorders. It's something I'm mindful of in clinical practice. 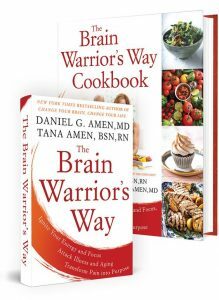 I look forward to reading The Brain Warrior's Way." Thank you for listening, thank you for writing in. Tana always says that's her payment for doing this podcast is hearing from you. This month at Amen Clinics, our theme is it's insane not to look at the brain. I think that really applies with your story. Chase actually works with us here in data analysis, and he is the stepson of our CEO Terry Weber. When Terry brought your stepsister here, she got so much better that when you were struggling she was thinking you would really benefit from this. Dr. Daniel Amen:	Let's start, we're going to divide this week into four podcasts. We're going to talk about Chase's story, wrong mental illness diagnosis. We're going to talk about what he learned from imaging. We're going to talk about where he is today and what are the steps. It's really about transformation. Then we're going to talk about how do you know if it's something like bipolar disorder, head trauma, or depression; really the big problems with psychiatric diagnosis. Tell everybody who you are and how this all came about. Chase Mattioli:	Like you alluded to, I came to Amen vis-a-vis my stepmother Terry Weber. She had noticed that my mental health was somewhat deteriorating and my depression was going through the roof a little over a year ago. My whole life I'd had a history of let's say making less than smart decisions. I was always a daredevil, whether it was snowboarding or doing extreme sports. I always liked to be out there and taking more risks than I should. That led me to the sport of racing. My family has a history in the sport of racing, we own a NASCAR track in north eastern PA. Because of having that family relationship, I've been driving cars since I was five years old. Dr. Daniel Amen:	Your family owns the Poconos Speedway? 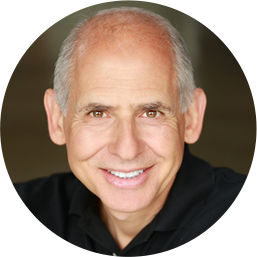 Dr. Daniel Amen:	Which is incredibly famous and part of the NASCAR circuit for a long time. Chase Mattioli:	Yes. We were one of the original tracks, we were one of the first ones in the northeast. My grandfather was able to found that in the 1960s, so it was really cool and it's really awesome that it's still in our family. Because of that, it's less of a company or business for us and more of what we do, it's our family. Because of that I became a race car driver. Being a race car driver means you crash a lot from time to time, I mean being a bad race car driving. I don't know if I was the best. Dr. Daniel Amen:	Even a good race car driver, you cannot control the brains of those people around you on the track. Just the thousands or tens of thousand of scans I've seen, whenever I'm on the freeway and I'm just thinking about all the brains around me, it's a wonder that I can make it from Orange County to LA alive. If you take all race car drivers and what I've seen, there's a lot of toxicity because of the gasoline fumes that you've been around since you were a little boy, there's a lot of toxicity. How many race car drivers have never been in an accident? Probably not very many. Chase Mattioli:	Probably less than 1%, yes. It's like saying a football player hasn't been tackled. Dr. Daniel Amen:	You're on a track with all of these vulnerable brains. Chase Mattioli:	Tons. Within the sport, it's not even just the gasoline. There's so many aerosoles for cleaning products, we use lubricants on everything. Dr. Daniel Amen:	I hadn't thought about that. Chase Mattioli:	Even in the car, the oil heater's right behind the driver. They have to preheat the oil before every race, so you're literally sitting on a cooking vat of oil for about an hour before every race and just ingesting that. There's a lot of bad things about the air quality in NASCAR, but they are making a lot of improvements since I've been in the sport and it's definitely getting better. Unfortunately, the issues it caused for me weren't the ones that you would think right away. You think of a car accident, you break your leg, you break your back, break your neck. For me, just got a bunch of concussions, which in racing aren't real injuries. It's one of those things that you can still race the next week most times, they don't really test you. Also within racing, we don't have backups. It's not like I can get hurt the previous week and miss the next week, you have to show up if you're going to get your points. A lot of the times whether it was an injury from a wreck or a concussion, you just kept going. It wasn't exactly the best health choices at the time. I was definitely making a lot of non-brain healthy decisions in the moment. Dr. Daniel Amen:	You're around toxic fumes, you've had multiple concussions. You've even had, because I know your history, you've had concussions outside of racing. What were your symptoms? What were you experiencing before you went to see your first psychiatrist? Chase Mattioli:	I've had depression my whole life I would say, probably my first fit of depression I was maybe ten years old and saw a child psychiatrist. From there, just general depression, anxiety. Dr. Daniel Amen:	Talk more about, when you say depression when you were ten, what did that look like? Chase Mattioli:	For me it was if I had a test the next day, I would get crazy anxiety. I'd start sweating, couldn't sleep. Just talking to my mom, "I can't do this", tons of negative self talk. It was something that I had my whole life. If I had a big presentation tomorrow or anything going on, it would almost build up inside of me. It's got that emotional, it's had to put a label on it, but it's like your chest gets tight because you can feel it really hard. I've always had that, which then led to sadness, "I can't do this, it's too much for me." Most of my decisions in life we're fed with that kind of thought process. Dr. Daniel Amen:	You had a high ANT population? Chase Mattioli:	High, super high. Dr. Daniel Amen:	ANTs, for those of you that listen, we always talk about them; automatic negative thoughts, the thoughts that come into your mind automatically and ruin your day. In school, no one ever taught you how to eradicate or how to manage the ANTs? Chase Mattioli:	It was crazy for me because I had all this anxiety for performance and doing well in school, and I did great in school. When I would talk to my teachers and they'd see me freaking out or having an issue they're like, "Why?" They couldn't understand why I was anxious or why I was upset because I always did a good job. That was the hardest thing, nobody could help me. Nobody knew why I was getting so riled up, they had no way of teaching me, "Hey, it's not a big deal." Dr. Daniel Amen:	Nobody even thought about the concussion you had. Your first one was how old? Chase Mattioli:	I was seven years old I think, or eight years old, my first concussion. Dr. Daniel Amen:	What happened? Chase Mattioli:	That one I fell out of a tree. A lot of bad decisions; falling out of trees, snowboarding, basketball. If I could hit my head, I've pretty much done it doing everything. Nobody thought about that. Then when I got to be 13, it became a little bit more emotional. I would get that anxiety, I would get mad or angry for no reason. You could see I was tense, you could almost see it on my face, it would be building up like that pressure I was telling you about before. When I would get mad, I'd get mad. Not like, "I'm grumpy at you", like, "These are all the worst things I can think of and I'm going to make sure you know all of them real quick." It wasn't very healthy, not a way I wanted to manage my life. Dr. Daniel Amen:	How would people know you were mad? You would yell, you would scream? Chase Mattioli:	Yell, scream. It's kind of like those things, you think about a conversation and you know those one things you shouldn't say or there are some things that are off limits, I would say those things. It was to the point where there was no, "I'm going to regret saying this later" thing. I would be super mad. Dr. Daniel Amen:	You'd have no supervisor, no filter. Chase Mattioli:	None, none at all. If it was in my mind it was coming out, it was coming out as aggressive as possible. Dr. Daniel Amen:	Which is usually not helpful. Chase Mattioli:	No, wasn't the best way to make friends. Dr. Daniel Amen:	I always say Jerry Seinfeld said the brain is a sneaky organ; we all have weird, crazy, stupid, sexual, violent thoughts that nobody should ever hear. When you hurt the front part of your brain, the break in your brain, those things get out. The problem with the brain is that it has memory, so people then remember and become afraid of you. Chase Mattioli:	Definitely. I can see the people that I had those interactions with, they always kind of look at me differently. It's like, "Oh, I really don't want to make him mad." It's not something I take pride in or anything. 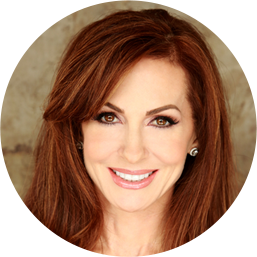 Dr. Daniel Amen:	Then what happened? Chase Mattioli:	At that point it's like, "All right, maybe there's something more going on." I went and say a therapist and he made me take some test on his computer. I can't remember what it was, but essentially afterwords he was like, "You're bipolar." I was like, "Are you sure?" He's like, "Yes, you're bipolar." Dr. Daniel Amen:	From a questionnaire you get diagnosed with bipolar, and then what happens? Chase Mattioli:	Then he started prescribing me different drugs. I was on maybe eight different, maybe ten bipolar medications in my life. They normally go in about a year to a six month stretch of, "Hey, let's try this. Let's see if this helps your program." None of them ever really helped. If they helped, it would be like, "All right, I'm a little less upset and angry, but I've also got my skin's bright red, and I can't taste stuff, or I put on a ton of weight." I had no bad emotions, I was never angry, but I was never happy, I was never anything. Dr. Daniel Amen:	You're flat. Chase Mattioli:	Exactly. I call it being cardboard, just nothing taste. Anyway, went through that for years. Had acne, had bad skin, so none of that stuff's going to help you with the depression and everything else. Dr. Daniel Amen:	You're on multiple medications that flatten you that help but don't help you feel joy. No one's talking to you about your life and your lifestyle? Chase Mattioli:	Nope, not once. Dr. Daniel Amen:	All right. When we come back we're going to talk about Chase's visit to our New York clinic. Stay with us.